Skelton Windmill was built in 1822 for the nearby Newby Hall Estate, it is a grade II listed building. I have previously posted about both Redcar and Coatham Windmill, generally regarded to have had six and four sails respectively. 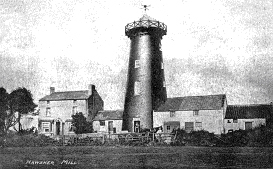 This photo of Redcar mill is the only one that seems to be in general circulation, sadly no sails were present at this time. Recently Ian Weber has suggested to me that the photo widely regarded to be Coatham Windmill could also be Redcar. His suggestion is that a similar wall with buttresses at the bottom of the photo seems to still exist today ? 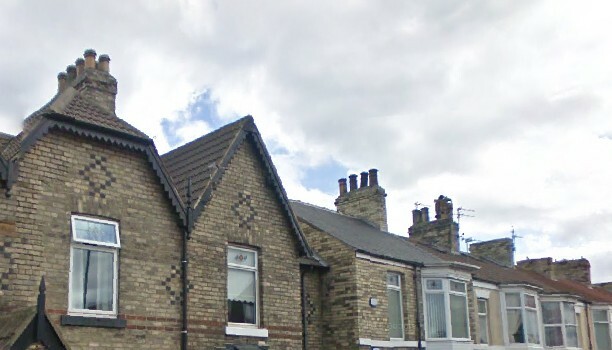 Whilst it does look very similar, the argument against this is the two white brick chimneys visible in the background of that same photo (a block of 8 and block of 4) which match those still to be seen on Station Road today. Let us now turn out attention to a series of old etchings which show the windmills. 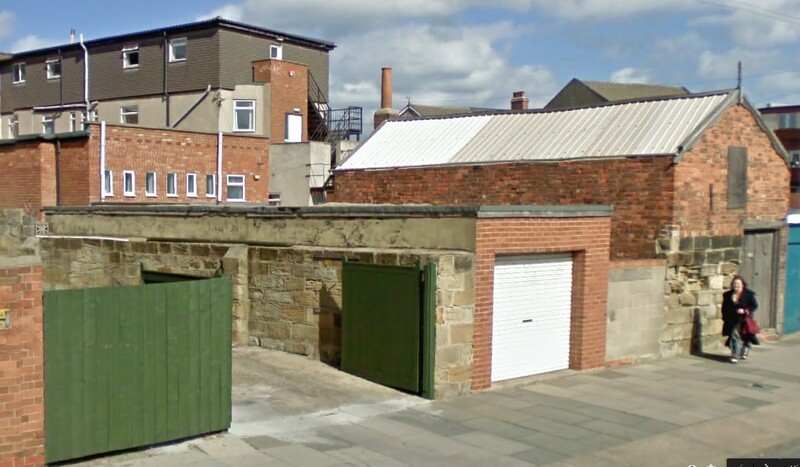 If we’re looking west at the back of St Peters then the six sail mill is in Redcar to the right and the four sail mill, although appearing close is actually in the distance in Coatham. 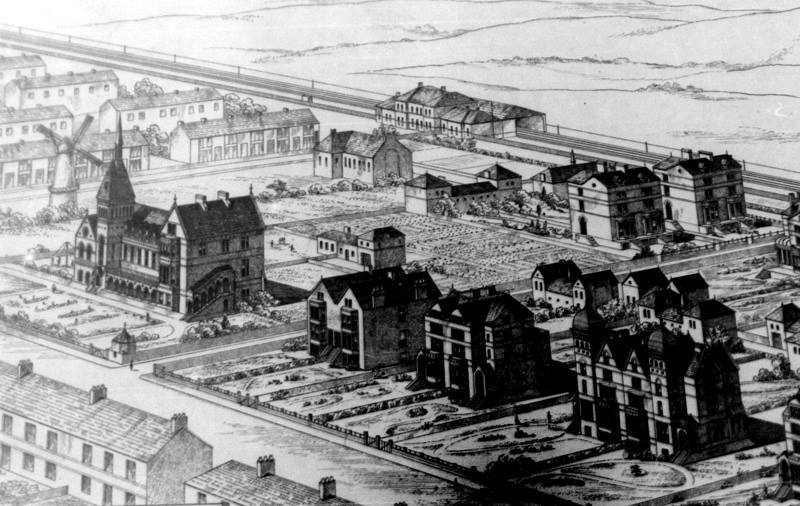 This 1836 view east at the tower end of St Peters, shows the six sail mill near to the church as expected. A similar view looking south-east from the seafront, again shows the six sail mill very clearly. But finally just to throw a seed of doubt, this 1840 etching appears to show two mills with six sails ! So what of the third windmill ? It stood near Marsh House Farm at Warrenby and was destroyed by fire in 1815. It was restored in 1991 as previous to that it had no wooden cap, although it still lacks any sails. The windmill at Ugthorpe has been converted into a house. The windmill can be seen in a state of disrepair in 1954 although an earlier photo shows the sails intact. This mill is said to date from 1858, and unusually stands in a disused state rather than having been converted into a house. I know Ravenscar is actually 30 miles from the Tees, but the site shall be taking a short holiday there for the next few days. This windmill was built somewhere between 1861 and 1863 by George Burnett, the mill was 64ft tall with three storeys and had 4 sails which were apparently still in use until around 1915. After this the mill fell into disuse and the upper stories were removed in 1960. The windmills of Redcar and Coatham continue to be of interest across the years, this post originated in 2010 has been updated in 2013, 2015 and again with fresh information from ‘Redcar Memories’ in 2018. Coatham Windmill was located on Station Road and parts of a substantial sandstone wall are still present to the rear, although that may be associated buildings rather than the core of the windmill. This viewpoint and car park have since been covered by the Redcar & Cleveland Leisure and Community Heart building. This photo of the Baptist Church on Station Road shows a structure behind that must be part of the Windmill, apparently used for observation during World War 1 (but it does not feature on 1932 aerial photos) so presumably demolished between those dates. 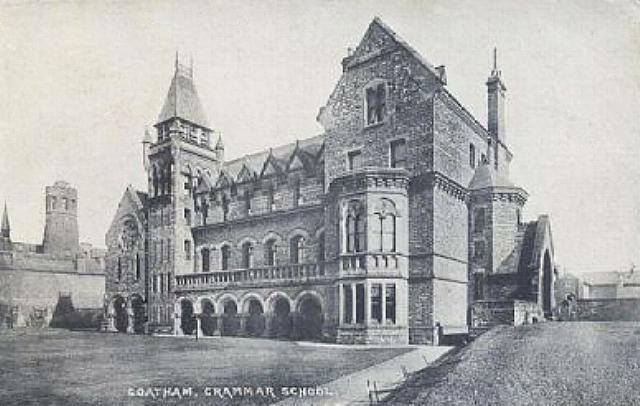 Ian Weber has also kindly pointed out the same structure being shown in the back ground of this photo of the Grammer School too. This photo shows the Coatham Windmill, with its 4 sails, but many more buildings clustered around. The two white brick chimneys visible in the background of that photo (a block of 8 and block of 4) match those still to be seen on Station Road today. WANTED, a Respectable GENERAL SERVANT. Apply to Mrs DOWSON Coatham Mill, Redcar. Redcar & Saltburn News 24/01/1873. On Monday morning last a little boy, 2 ½ years of age, son of Mr. Dowson, miller, went up into the mill to call his father to dinner, As he did not return as was expected an elder brother went to look for him, and found him frightfully injured. It would appear that the child had been playing with a stick, and lost it in the “shopper,” and in trying to get it he was pulled into the machinery and was found with his thigh and knee joint broken. 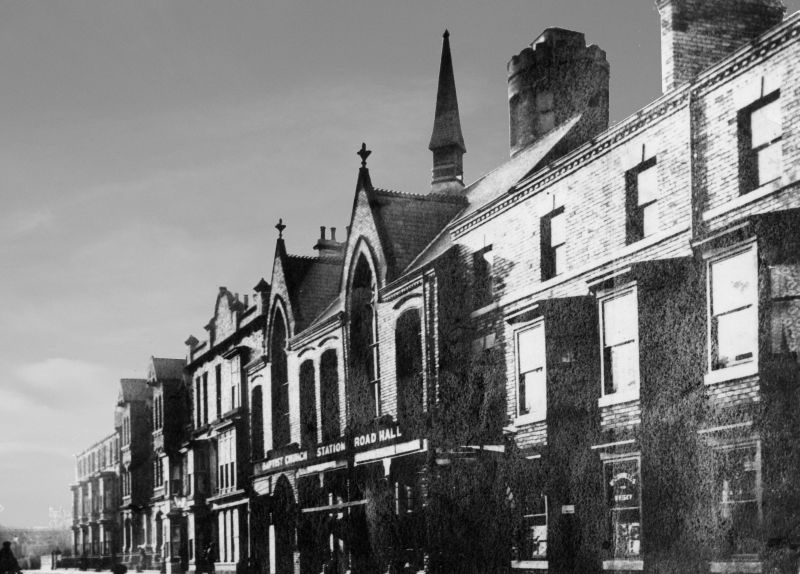 Dr. Bennett was in prompt attendance, and found the child in great suffering from the shock as well as from the injuries he had sustained, On Wednesday the child was sufficiently recovered to enable him to be removed, when he was sent to the Cottage Hospital, North Ormesby. TO BE LET, with Immediate Possession, all that CORN WIND MILL, with DWELLING- HOUSE, GRANARY, STABLE, CART-HOUSE, and other Outbuildings, situated within a few yards of Redcar Railway Station, in the County of York, where an extensive Business has been carried on for upwards of Forty years by the late Mr. Robert Coulson. For Particulars, apply to Mr. Coulson, Coatham Mill, Redcar. If Robert Coulson was involved for ‘upwards of 40 years’ in 1868 this article from 1825 on the repair of the Zetland must be relatively early in his association with the mill. Below Stockton, situated at the mouth of the River Tees, here vessels may load and unload at all seasons of the year.